For April vacation this year, I needed to find someplace to the south to take the kids. Close enough from New England that it would be a reasonable drive, yet far enough south that we could think about swimming in outdoor pools. It had been a brutal winter! Eventually I settled on going to Myrtle Beach, South Carolina, to the Wyndham Ocean Boulevard. For April vacation this year we needed something fun and kid friendly, and when it comes to the kids, especially our daughter, the thought of dolphins is never too far from the tip of the tongue. We were spending the week at a resort in North Myrtle Beach, South Carolina, and there are a number of options available. We chose a ride on the Sea Thunder. Getting there wasn’t too difficult – it’s a short drive from the beach, less than ten minutes from our resort. Be careful if you’re using Google Maps, though – it will send you to the wrong location. Sea Thunder is at the Harbourgate Marina, directly behind the Harbourgate Resort, and the dock for the Sea Thunder is almost directly under the Rt. 17 bridge. Google Maps will put you on a residential street on the other side of Rt. 17. Instead, you should go down Little River Neck Road, and go past the entrance for the resort (even though the sign does say “Harbourgate Resort & Marina”). The turn for the Marina parking lot is just before you go under Rt. 17. Do NOT turn down Sea Mountain Hwy, or you may end up stuck in traffic while an interesting drawbridge (which is actually a swivel bridge) lets the boating traffic pass in front of you. The monkeys of Gibraltar are famous for their openness to human interaction and for their unique status as the only population of wild monkeys in Europe. Descended from monkeys in North Africa, they are one of the biggest tourist attractions in Gibraltar. The territory of Gibraltar is just 2.3 square miles. It is located at the tip of the Iberian Peninsula and thus borders Spain, while Morocco lies across the Straits of Gibraltar. The straits separate the Atlantic Ocean and the Mediterranean Sea and have played an important role in world history. The territory of Gibraltar has been ruled by Britain since the early 1700s and is considered an overseas territory. A day at the Natural History Museum in London means exploring some of the most highly-regarded exhibits on earth’s history in the world. The Natural History Museum is housed in a stunning building in South Kensington in Central London. The main exhibits of the museum are FREE for all ages, while special tickets may be purchased for certain visiting exhibitions. The museum’s collection is enormous – over 70 million objects and specimens are included. 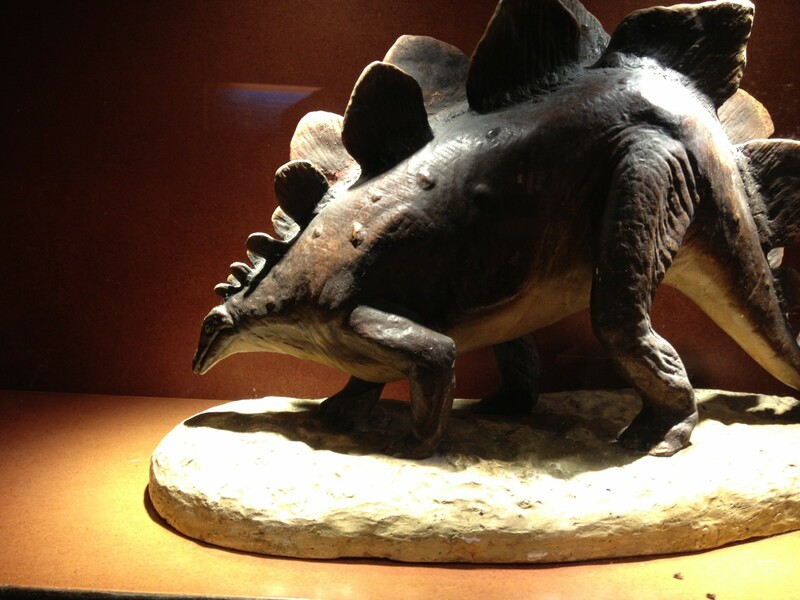 The most popular exhibits in the museum include dinosaur fossils, animal specimens, and geologic exhibits. The central hall of the museum is not only an example of gorgeous architecture, but it houses the most famous exhibit in the museum, a replica of a Diplodocus skeleton. Other dinosaurs from T-rexes to triceratops can be seen in the museum as embedded fossils, skeletal displays, and carefully-crafted lifelike models complete with skin. You can see exhibits exploring the evolution of dinosaurs and other creatures or learn about (and see models) of dinosaur eggs and hatchlings.